What Factors Can Make Placing Dental Implants in Harrisburg Complex? 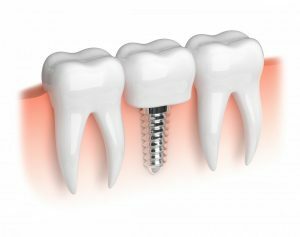 Dental implants have become one of the most popular replacement options for their longevity, appearance, and unique health benefits. Their success rate is around 95%, making them a reliable solution for missing teeth. 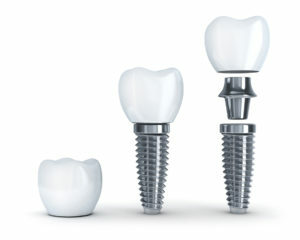 However, there are some factors that can make some dental implant cases more complex than others. Keep reading to learn more about these variables and whether or not you’re a good candidate for dental implants. Comments Off on What Factors Can Make Placing Dental Implants in Harrisburg Complex? Most of us know we should brush and floss daily, eat a sensible diet, and see our dentist in Harrisburg for regular visits. But it’s also important to know how to do these things with an eye towards effectiveness. Otherwise we might miss out on benefits we could otherwise enjoy. With that in mind, here are some tips for fine-tuning these essential habits. Use them to give yourself the winning edge when it comes to your teeth and gums. Dental implants in Harrisburg are the modern way to replace missing teeth. Implants avoid the shortcomings of other treatment options such as traditional dentures. Without implants, even a single missing tooth can put you at risk of bacterial infections, bone loss, and further tooth loss. The time to learn more about implants is now, before these conditions turn into serious issues. Heightened risk of infection. Decay-causing bacteria are sneaky. They love to hide in corners and other out-of-the-way spots in your mouth. The cavity created by a missing tooth creates the perfect gathering spot for these harmful microorganisms. TMJ symptoms. TMJ disorder is a common health condition that affects millions of Americans. It can lead to headaches, back and neck pain, and problems opening and closing your jaw. People with missing teeth often must shift their bite to another side of their mouth in order to chew their food, increasing their risk of developing TMJ. Bone loss. The bones in your jaw are like the muscles in your body. They get weaker when they go unused. Even a single missing tooth can deprive these bones of the stimulation they need. This is what creates the “sunken” look you may have seen in people with advanced tooth loss. More missing teeth. Your teeth are designed to work as a single unit. When one is missing, those around it are subjected to unhealthy and unnatural stress. This is why you rarely see people with only one missing tooth. In time the others fall as well, like a set of dominoes in a row. Traditional dentures cannot stop the process of bone loss discussed above. That’s because they’re not connected to the bones under your gum line, unlike your natural teeth. Traditional dentures rely on cream adhesives to stay in place. This means they can fail with no notice, causing embarrassment. Implants offer a better solution. Because they draw their strength from the jaw itself, they can stop the process of facial bone loss in its tracks. They require no messy creams to stay in place, they allow the patient to live a normal lifestyle, and they require no special maintenance. Implant dentures are a hybrid approach to tooth restoration, one that’s gaining in popularity as its benefits become better known. 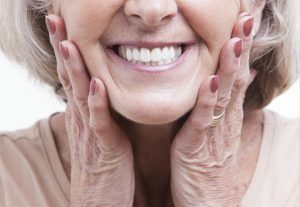 This option combines the advantages of implants with the convenience of dentures. 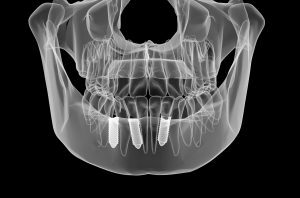 The implants in the patient’s jaw not only prevent bone loss, they ensure that the restoration itself will never accidentally come loose. Talk to your dentist in Harrisburg soon about implants and other restoration options. After all, you’re much too important to let missing teeth ruin your smile. Dr. Gary M Klein earned his DDS degree from the NYU College of Dentistry before completing his one-year residency at Lehigh Valley Hospital in Allentown. His broad-based training and experience enables them to treat a wide range of dental problems. You can reach his office online or by calling (717) 652-6644. Did you know that millions of Americans waste billions of dollars in dental insurance benefits each year? It’s true. Most insurance plans don’t rollover your benefits into the next year, so when January 1st comes around, any unused benefits will be gone forever. Don’t let your hard-earned benefits go to waste! 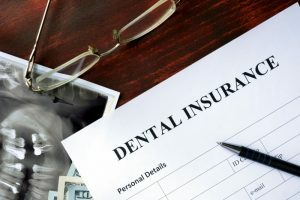 Keep reading to learn how to get the most out of your dental insurance and why it’s important to use your benefits before the end of the year with a dentist in Harrisburg. If you have missing teeth, you already know that gaps in your smile can look like a glaring problem. The truth is, how it looks should be the least of your worries. Holes in your grin can be dangerous to your oral health. The longer you wait to replace your tooth, the more likely you’ll develop further problems and complications. Have no fear! Dental implants in Harrisburg are here! 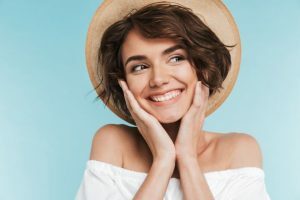 Keep reading to learn why dental implants are the best, most realistic, and long-lasting tooth replacement option for you.